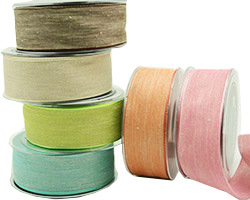 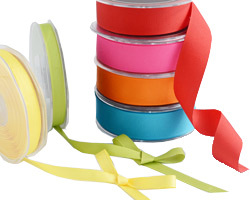 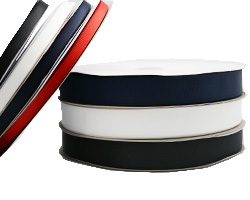 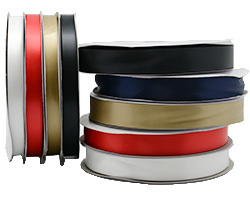 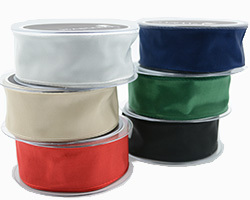 Plain grosgrain, available in two widths and a large number of brilliant colours. 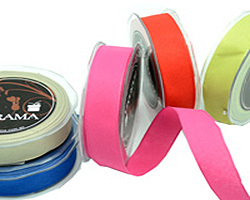 This open mesh ribbon is available in the following bright colours: Apple, Hot Pink, Orange, Natural, Pale Pink, Pale Blue, Red, Chocolate, Antique Gold, Black & White. 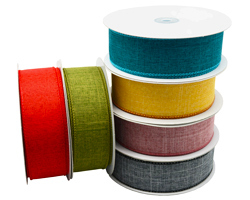 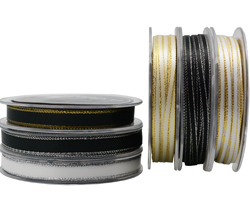 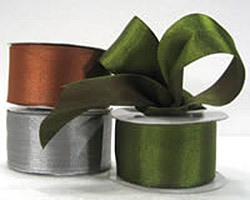 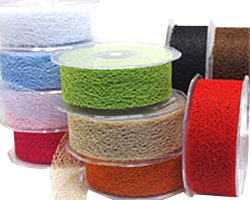 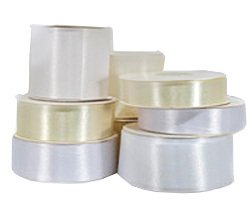 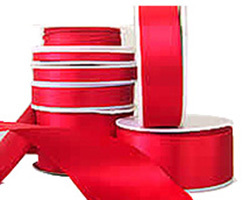 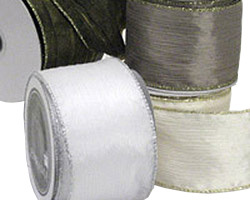 Beautiful quality wired ribbon. 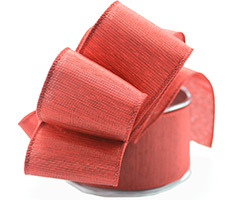 A natural weave with brilliant colour woven within.